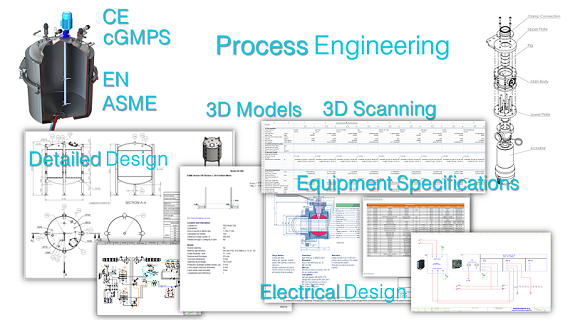 P&ID, Dimensional drawings, FDP, LOGIC/MD, Eplan, Dyn. Simulation, Energy, flow, etc. All describing parts or sections in various formats. Specification data base, etc. A Design concept that inherit unique characteristics in every process. Modular process is a design concept. Individual parts can contain complete process systems and multiple process elements can be combined to create larger process systems or entire plants. Process modular units are considered an alternative to traditional stick-built construction where process system parts are shipped individually and installed incrementally on site. Skids are the smallest elements for process design, manufacturing, and process integration. Skids facilitate and accelarate the developments with standard solutions for almost all units of a modern process system. Our company counts on hundrents of predesigned and already manufactured technological modules (Skids). Spacial 3D model with Scanners for existing systems and infrastructure. Utilities and pipe lines prefabrication with complete model design. Object oriented programming is common for software development. Our concept expand this strategy in process design and manufacturing keeping the same principles. 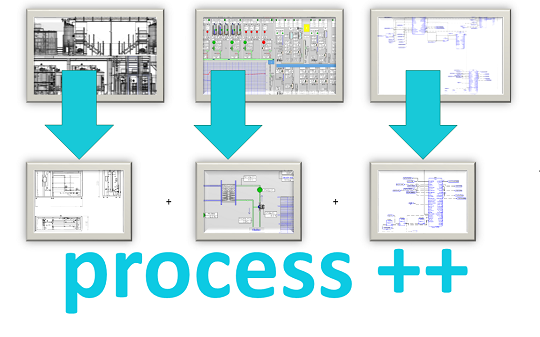 Process unit oriented design and development.! All process modular skid based solutions are "OBJECTS" with complete and independent software, common inrheritance of control, Tags and system names, skid design, wiring, control I/O, 3D model, interconnectivity, etc. 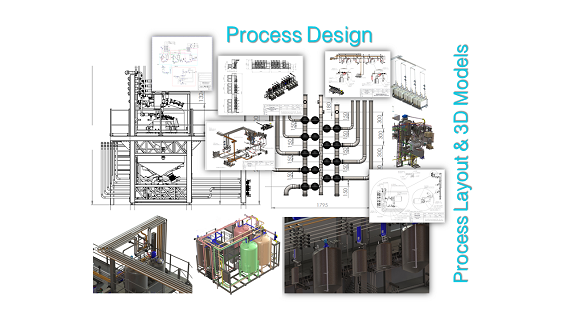 Process objects are valuable tools for parallel development of mechanical, 3D model, plant layout, software and control.